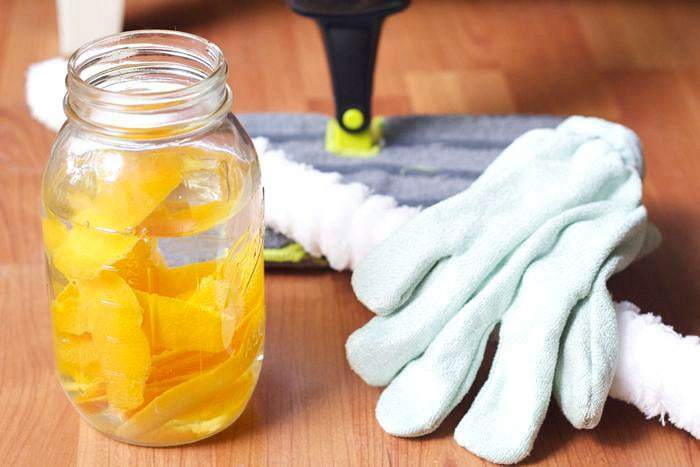 Place orange peels and cloves (if using) in the mason jar, then fill with vinegar. Let sit for 2 weeks, then strain into a clean jar. To use, add mixture to a spray bottle and dilute with water. I like a 1:1 ratio, but your preference may differ depending on the strength of your cleaner.